Sri Lanka surged to 151 for 3 in their second innings on Saturday -- a 365 run overall lead -- as they sought a whitewash triumph over South Africa in their two Test series. At the end of the second day of the second Test in Colombo, Dimuth Karunaratne was on 59 while Angelo Mathews had 12. Sri Lanka built up their domineering lead at the end of a day in which their 10th wicket pair added valuable runs to build a first innings of 338. 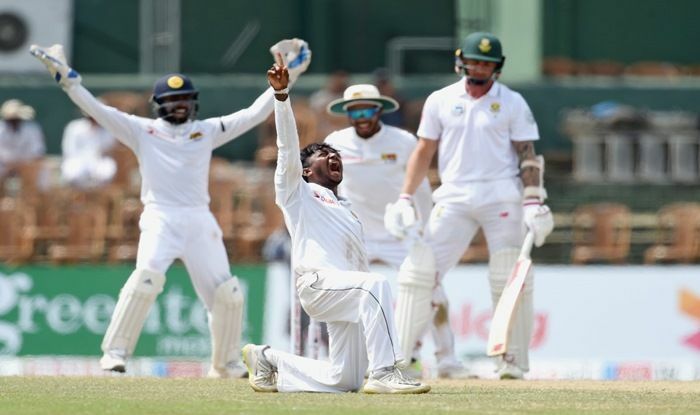 Sri Lanka's Akila Dananjaya earlier took five wickets as South Africa crumbled to 124 all out on the second day of the second Test on Saturday and facing a whitewash in the two-match series.